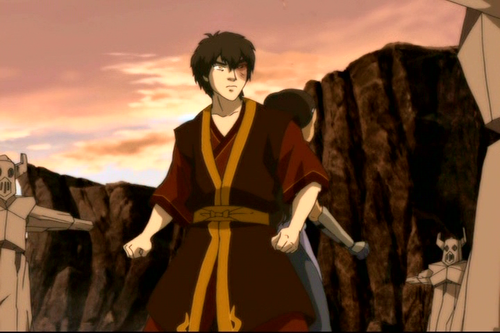 This Zuko and Katara photo might contain surcoat, sobretudo, tabardo, and tabard. I tried posting this as a screen cap, since this is what it actually is, but it ended up in "photos". 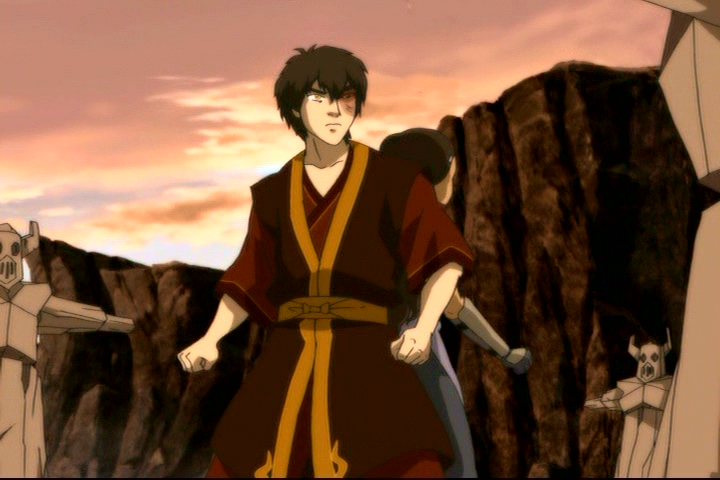 the myth that fire and water, exact oppsites, don't work together; these two (with sokka's help) proved that they do.